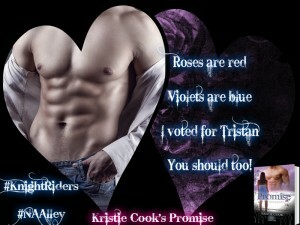 ← Tristan Wins and YOU Get the Prize! 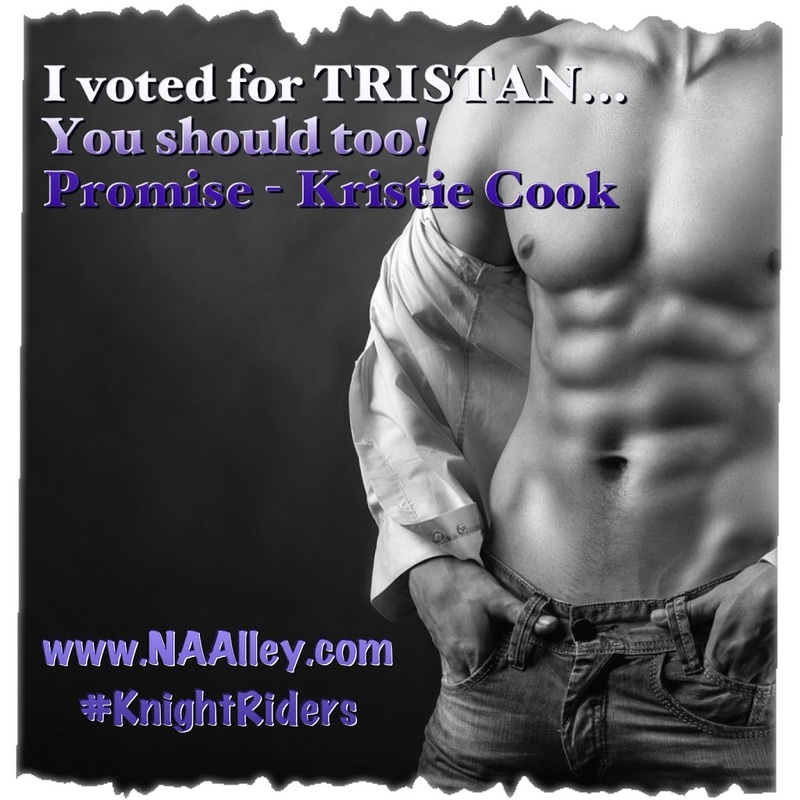 Show Our Tristan Some Love! 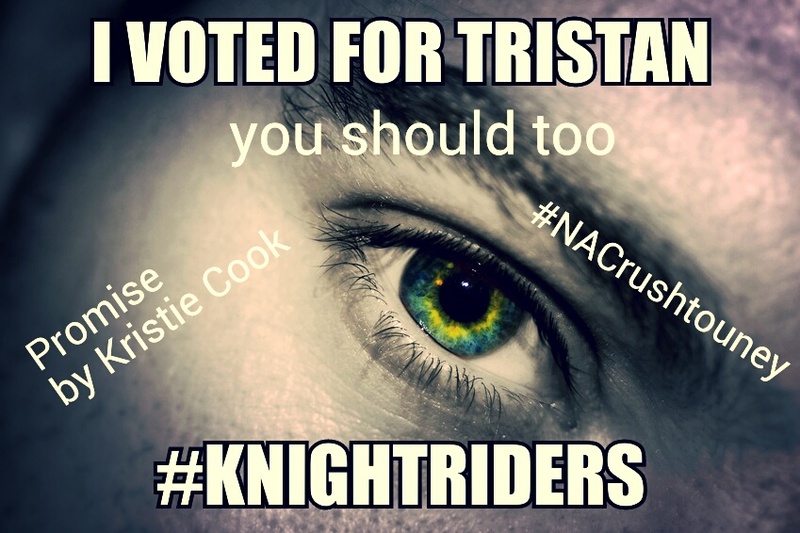 Last week you all really pulled it out and led Tristan to an amazing win in the NA Crush Tourney! He’s fighting another round as we speak and he could really use your help. 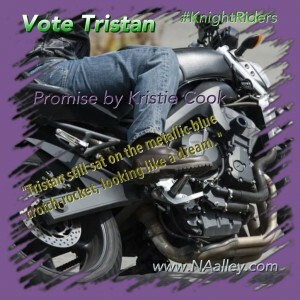 Even if you don’t know what the heck this is, you can just click the link below, scroll to the bottom and click Tristan’s name to vote. It’s easy and only takes a minute. Thank you! 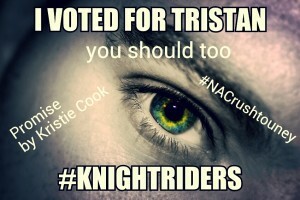 When you’re done, please feel free to share the graphics, tweet using the hashtags #NACrushTourney and #KnightRiders, and post on Facebook. You can also forward this email. Maybe someone you know will vote, too – or even pick up a new-to-them book to read.